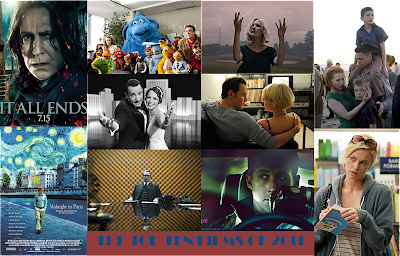 The Top Ten Films of 2011 - Watch the Video Countdown! For the first time ever, I have created a Video Top Ten List, and you can watch it right here on the site through the YouTube embed above! It features me narrating over clips and music from all of the selected films, and if I do say so myself, is an entertaining little trek through the year in film. You can also read the written, expanded version of the list after the jump. 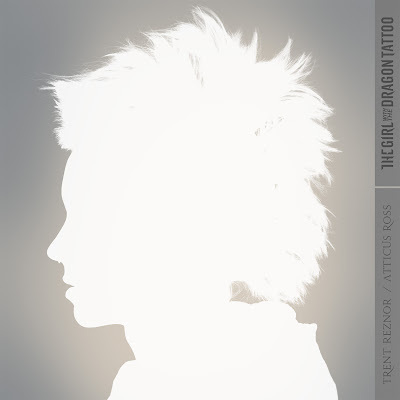 This is technically the second-half of my Top Twenty List, the first half of which I posted earlier today. I would recommend reading that article before watching the video or reading this list, or at some point in the future, as it discusses many films I really, truly love that there simply wasn’t enough room for on this countdown. 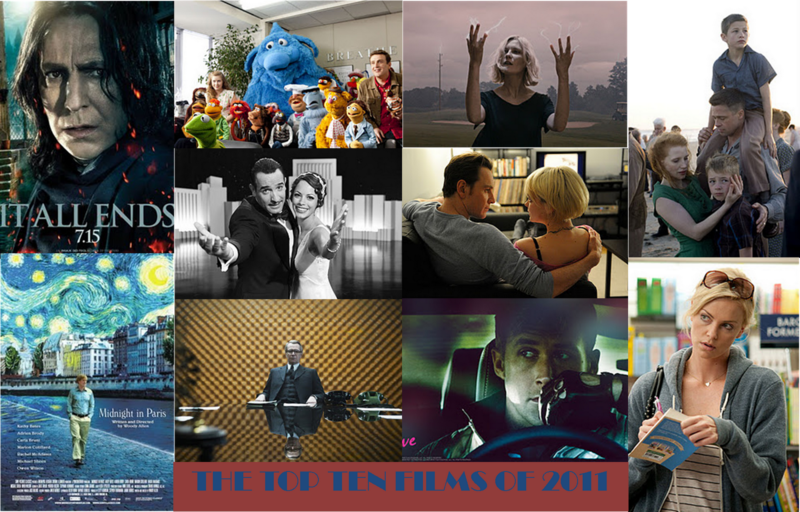 As I said in the earlier post, this has been an amazing year for film. Filmmakers worldwide produced many of the greatest films I’ve ever seen in 2011, many of them exploring dark topics about fractured human psyches and emotional damage, but big blockbuster entertainment was also very strong throughout the year. I loved so many movies this year that a simple Top Ten List was impossible, thus the Top Twenty, but even then, I’ve had to cheat and include a tie somewhere on this list, making this more of a Top Eleven countdown. This article marks the end of a really fantastic first year here at www.jonathanlack.com. I hope you’ve all enjoyed this journey through a great year in film with me, and in a couple of days, January will arrive and we’ll start this whole crazy process over again. 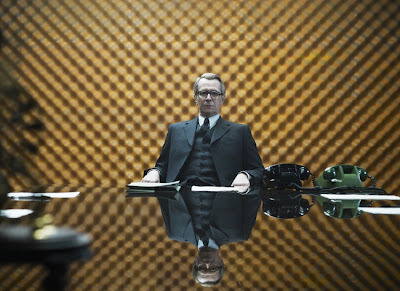 If you’re looking for some more year-end roundups, you can also read my Top Ten TV Shows of 2011 and Worst Ten Films of 2011. 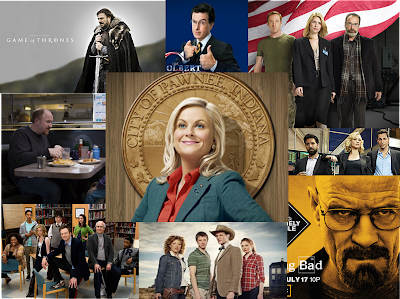 I’ve never published a TV Top Ten list, which is kind of funny, because I’ve spent plenty of time writing about TV and much more time watching it. For many months out of the year, TV shows provide deeper, smarter, funnier, and all around better entertainment than film. I haven’t had the chance to blog any TV shows this fall – my plans to blog the fifth season of Chuck have fallen by the wayside, though I will resume before the series finale in January – but I want to start again soon, because there are too many great dramas and comedies on the small screen not to write about at least some of them. 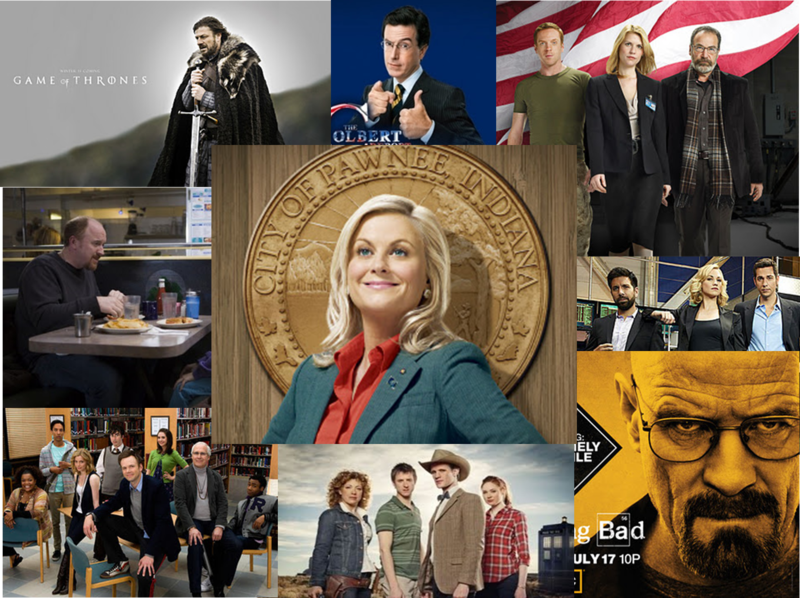 In any case, I am today honoring the best ten TV shows I watched in 2011. TV being the vast and subjective medium it is, your choices will no doubt differ from mine, though I’m happy to see many of my favorite shows getting widespread critical support. The only show I didn’t watch this year that may have made the list if I had is HBO’s Boardwalk Empire. I quite liked the first season, but I’ve been too busy to catch up on the second. Other than that, I’m proud of the list I’ve assembled, and I can’t recommend any of these shows highly enough. 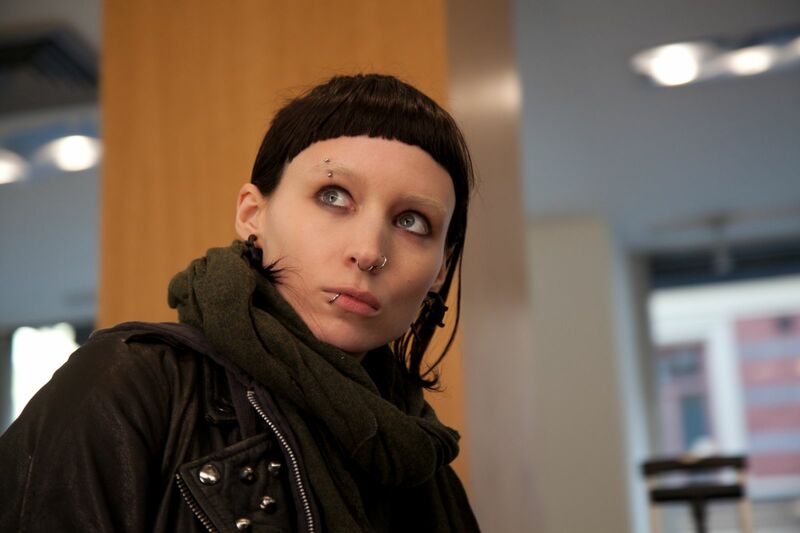 The Worst Ten Films of 2011 - Pirates, Misogyny, and Romance, Oh My! 2011 was an excellent year for cinema, and you’ll be reading all about it tomorrow in my Top Ten Films of 2011 article – complete with a video version of the list! But as with any year, it wasn’t all sunshine and roses in the multiplex. 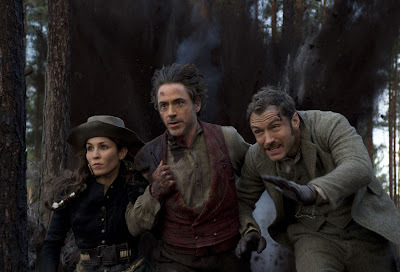 In fact, among the many masterpieces 2011 had to offer, there was more mediocre, bad, and downright despicable material than usual, most of it coming during the first half of the year, a time when I gave out more C grades and below than usual. 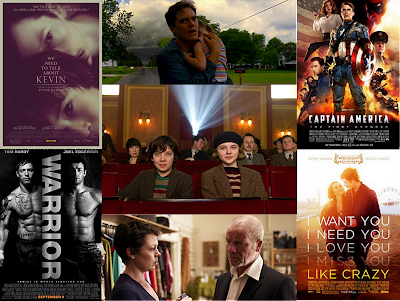 And today, I’m “celebrating” the movies I hated the most, the Worst Ten Films of 2011. This is by no means a definitive list, both because lists are inherently subjective and because I stayed away from some very bad films (i.e. “Breaking Dawn”). But of the seventy-five films I saw in 2011 (you can see the complete list of every movie I saw this year by clicking here), here are the worst ones. 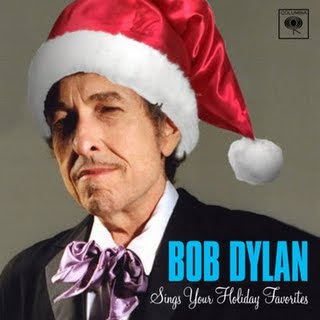 This kicks off the final stretch of 2011 here on www.jonathanlack.com. Later today I’ll be posting my picks for the Top Ten TV Shows of 2011, and tomorrow, my Top Ten Films of 2011, with an aforementioned video version (the text version will actually be a top twenty). Without further ado, continue after the jump to see my picks for the Worst Ten Films of 2011. 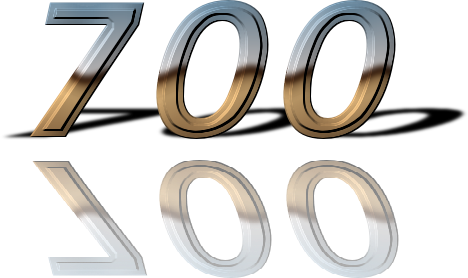 As you may have gathered from the Monthly Ten Podcast or my reviews of all the show’s episodes from the past season, this website is a big fan of Doctor Who. 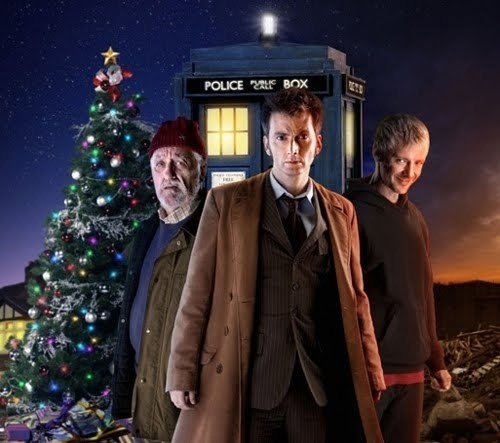 And for the past six years, the show has given fans a tremendous gift on December 25th – an hour-long Christmas Special, a festive, elongated episode with impressive production values that is typically a highlight of the year in Who. This Christmas was no exception. I just finished watching The Doctor, The Witch, and the Wardrobe – this year’s special – and suffice to say, I absolutely loved it. Since it’s Christmas, I considered not writing anything about the episode, but I think I lost the “restrain-oneself-from-writing” gene years ago, and even if I hadn’t, this was an hour worth discussing. So brief, spoiler-filled thoughts on the special coming up after the jump…. 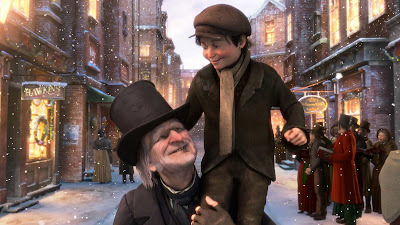 25 Reviews of Christmas #25 - In which I wish a very Merry Christmas with "The Muppet Christmas Carol"
I hope you are all having a wonderful day with family and friends! 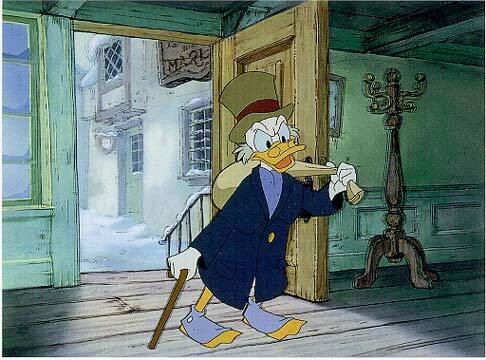 Today, our 25 Reviews of Christmas feature comes to a close with my favorite Christmas film of all time, “The Muppets Christmas Carol!” I hope you enjoy this review, and more importantly, I hope this entire month-long feature has been as fun for you as it has been for me! Remember to visit this page at any time for a collection of all 25 Reviews of Christmas articles. Come back tomorrow for the start of year-end TOP TEN LIST activities, continuing throughout the week! For now, Merry Christmas and Happy Holidays to us all! Review after the jump…. Catching up on "Chuck" Season Five - Reviews of Episodes 1 thru 7, including tonight's installment, "Chuck Versus the Santa Suit"
As long-time readers of both this site and my original YourHub.com blog may know, I’ve been writing about NBC’s “Chuck” since the start of the third season, reviewing each and every episode of that season and the fourth. It’s one of my favorite shows of all time, and I’ve always loved writing about it. But when the fifth and final season began this October, my “Chuck” reviews fell by the wayside. I reviewed the premiere on October 28th, but for a variety of reasons, I never got to the next five episodes. One of those reasons was that the Starz Denver Film Festival began the next week, and took up the entirety of my next two weekends, and after that, I simply wasn’t near my TV on Friday nights (the show’s new timeslot). But enough excuses. Chuck is a show I love very much; it’s been with me since my freshman year of high school, and I feel compelled to see it through to the end as more than just a spectator. So my Chuck reviews will resume next Friday evening, December 30th, with the airing of the season’s eight episode, and I will, God willing, continue through to the series finale. We will also be doing a special all Chuck edition of the Monthly Ten Podcast after the finale to celebrate the lifespan of this incredible show. We need more Cameron Crowe in the world. I will never understand why reaction to his last film, the pleasant and warm-hearted “Elizabethtown,” was so vitriolic, but it was enough to drive him out of the industry for a long time. 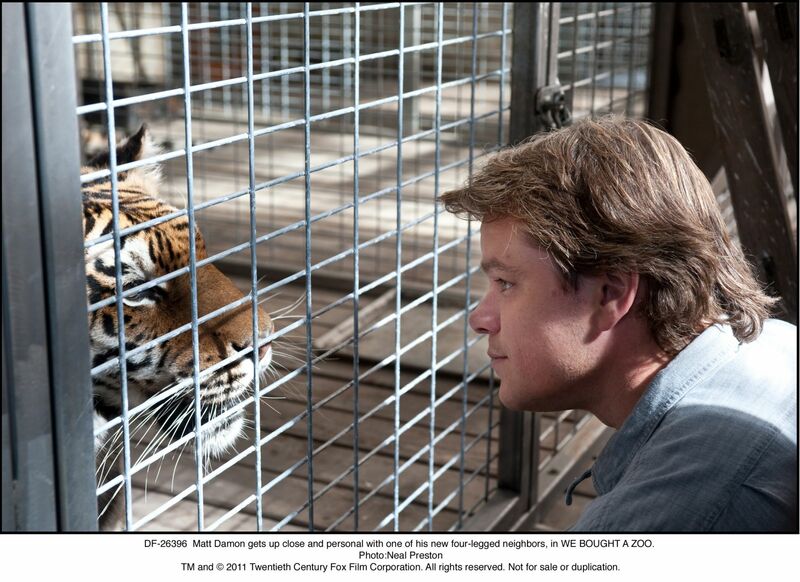 After seeing his first film in six years, “We Bought a Zoo,” I think I would much rather live in a world where Crowe delivers a new movie every two or three years. He isn’t one of the great American filmmakers, but he’s a director willing to infuse his films with as much heart and soul as they can bear, an undeniable honesty that is wonderfully refreshing in a time when so many films are made for all the wrong reasons. My “Intro To Film” professor had a mantra about adapting books into movies: “The filmmaker’s only obligation is to stay true to the spirit of the original work.” The implication, of course, is that cinema is a vastly different medium from literature, and if one doesn’t make the necessary changes, the result won’t feel truly cinematic, but clunky, dull, and uninvolving. Examples of this theory can be found everywhere – the first two “Harry Potter” films stay religiously close to the novels, and are bloated and poorly paced as a result. 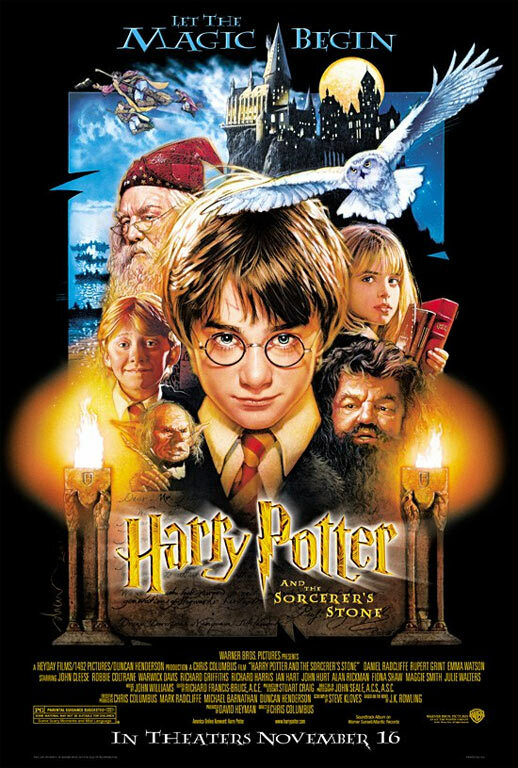 The “Potter” films became great when they began doing their own thing with the material, finding bold new cinematic ways to express the magic of Rowling’s work. The “Lord of the Rings” trilogy often strays very far from the J.R.R. Tolkien novel, but if it didn’t, the films wouldn’t have a chance at matching the emotional impact of the book; emotions are conveyed quite differently on screen than they are on page. 25 Reviews of Christmas #20 - The Doctor Who "Christmas Carol" is one of the best! But anyway, today is another fifth day in the 25 Reviews of Christmas, so we are looking at another “Christmas Carol” adaptation. This is one of my absolute favorites! 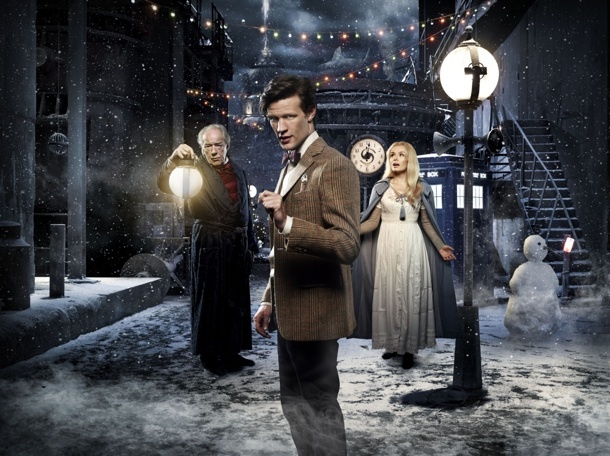 The Doctor Who “Christmas Carol” from 2010, not only one of the best Who episodes of all time, but a great “Carol” in its own right! 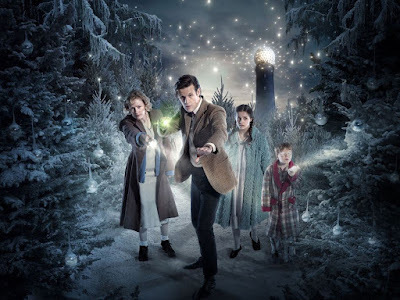 In addition to reading this article, you can hear Sean Chapman and I review the episode, along with other Doctor Who Christmas Specials, on this month's edition of the Monthly Ten Audio Podcast! Nothing says Christmas quite like Batman. Yes, I did indeed just type those words, because today we’re discussing Tim Burton’s “Batman Returns,” the 1992 sequel to the Burton’s first smash-hit “Batman” movie. 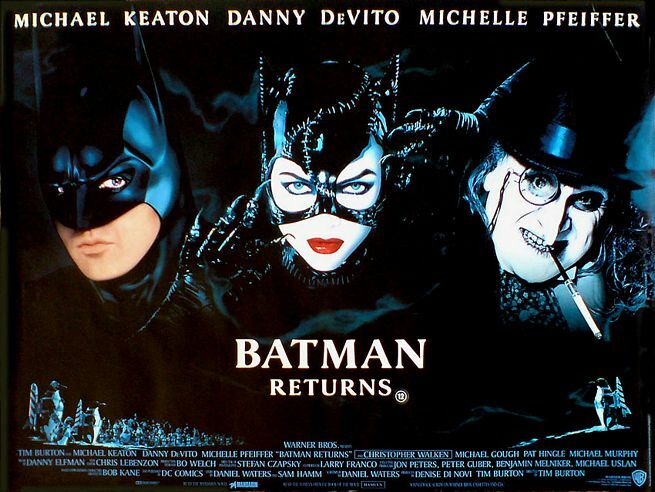 And before everyone starts saying “Jonathan, ‘Batman’ isn’t Christmas-y,” I’d like to point out that the entirety of “Batman Returns” takes place in the weeks leading up to Christmas, many references to the Holiday are made, and snow drenches every last scene. 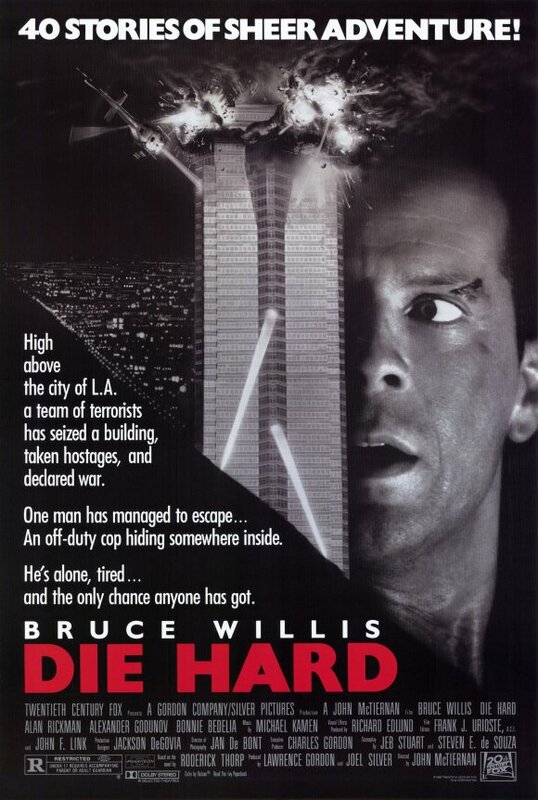 It’s a Christmas movie. So there. It’s also one of the most fascinating creations to ever come out of the Hollywood studio system, so if you’ve ever found yourself baffled by the film’s eccentricities, click-through to read my detailed analysis of the rich subtext many viewers miss (understandably so, as “Batman Returns” is an extremely disorienting experience). 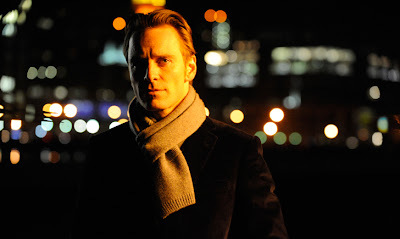 Brad Bird was born to direct a Mission: Impossible movie. That fact becomes readily apparent five minutes into “Ghost Protocol,” as soon as one realizes that Bird has, indeed, committed to scoring a violent prison break sequence to the sounds of Dean Martin. No other director could infuse such brutal fight choreography with such a passionate sense of fun. 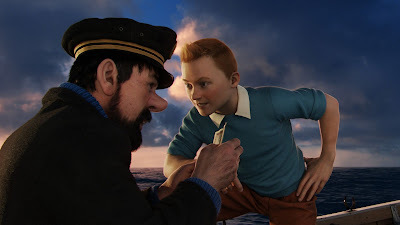 In his animated works, “The Iron Giant,” “The Incredibles,” and “Ratatouille,” Bird proved he was willing to try just about anything to make each and every scene as engaging as possible, and what has made his filmography so consistently great is that his experiments always work. They are filled top-to-bottom with ridiculously entertaining creativity, and though he’s only directed three features, those three were enough to establish one of the most distinctive cinematic signatures in the business. The big question going into “Ghost Protocol” was whether or not Bird would be able to transfer that signature from animation to live-action. I refer you again to Dean Martin serenading Tom Cruise as he fights his way through a cavalcade of violent Russian inmates. 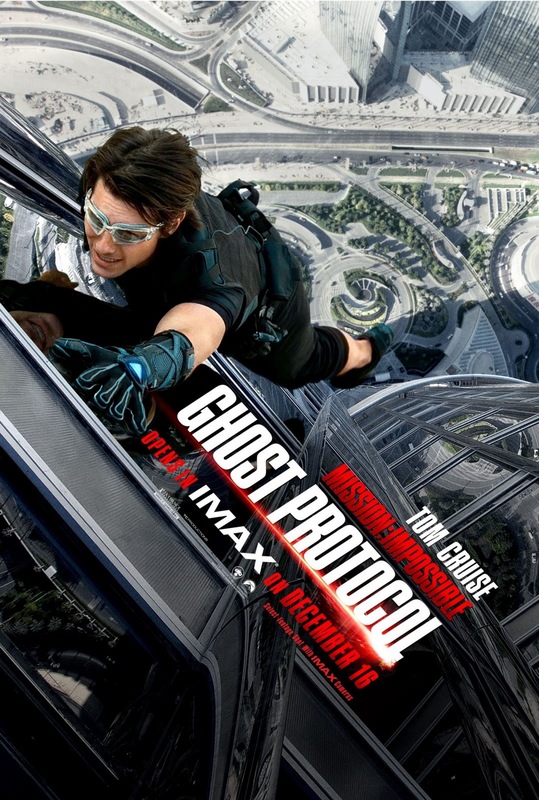 Or the bombastically jubilant opening title sequence, or the hilarious bit of future-tech Simon Pegg’s character uses to sneak into the Kremlin, or a brilliant suspense set-piece that finds Cruise climbing the tallest building in the world, or a chase where, I kid you not, Tom Cruise outruns a sandstorm….in IMAX!!! No director working today is crazy enough to think these sorts of things up, let alone execute them all so flawlessly. Brad Bird’s voice is heard loud and clear in every frame of “Ghost Protocol,” and perhaps unsurprisingly, his voice is the first to wring out all the latent potential of the Mission: Impossible franchise. Bird’s incredible sense of spatial relations in set pieces gives this film the strongest team dynamic in the series, and his sense of freewheeling fun allows the story to go big without seeming implausible or desperate. Indeed, it’s the tone Bird so completely nails here, making this the most endlessly entertaining mission yet. More thoughts coming up after the jump…. 25 Reviews of Christmas #16 - John Denver and the Muppets deliver a wonderful "Christmas Together"
The Muppets have had a pretty good year, I’d say, and today we’re looking to the past, when they recorded an album with the one and only John Denver! 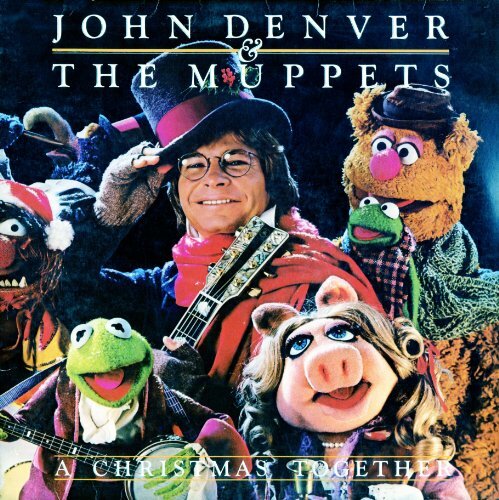 “John Denver and the Muppets: A Christmas Together,” is pretty awesome! Remember to visit this page at any time for a collection of all 25 Reviews of Christmas articles. “Shame” opens in an exclusive engagement at the Landmark Mayan in Denver on Broadway, one of my favorite places to see a movie. Make sure you see it in theatres, because part of the film’s impact is the big screen experience. If you need more convincing, my original review of “Shame,” originally published on November 10th, 2011, coming up after the jump…. 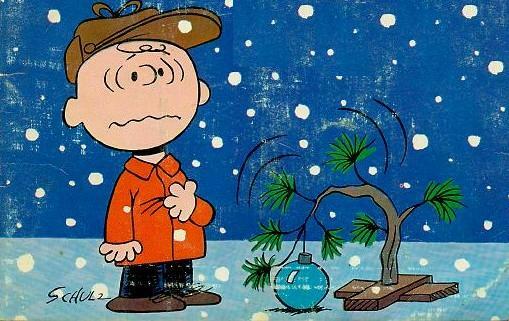 25 Reviews of Christmas #15 - Olden times and ancient rhymes, of love and dreams to share in "A Charlie Brown Christmas"
I had to talk about it eventually – “A Charlie Brown Christmas,” one of the most famous specials of all time! Remember to visit this page at any time for a collection of all 25 Reviews of Christmas articles. I’m sure you’ve all heard the Bruce Springsteen song “Glory Days,” one of the hit singles off Born in the USA. Its catchy tune, sing-along chorus, and loose, freewheeling atmosphere understandably made it a huge success, one still heard frequently on the radio. 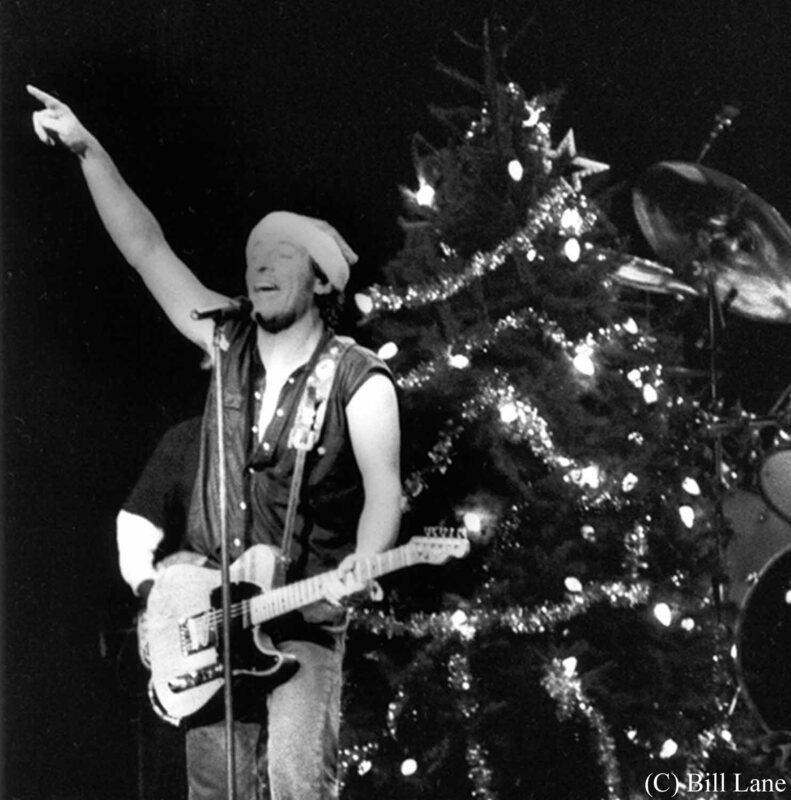 Like many Springsteen songs, however, the song’s upbeat tone masks the darker thematic imagery of the lyrics. “Glory Days” is all about people who have failed at life in one way or another. A man whose dreams have long since passed him by, a woman whose relationship ended and left her raising children on her own, and in a verse deleted from the released song, a father who spent a lifetime at a worthless job that ultimately stabbed him in the back. All the characters have two ways of coping with the dissatisfaction of their lives: drinking and thinking back to their “Glory Days,” a time in High School when they had things to be proud of and friends who admired them. Mavis Gary, the protagonist of Jason Reitman’s new film, “Young Adult,” could very easily be the subject of a “Glory Days” verse. She’s a depressed alcoholic who spends her mornings sporting a hangover and evenings drowning herself in liquor, her thoughts always consumed by memories of adolescence, when she was the popular, beautiful Prom Queen with the perfect boyfriend. At least, that’s the image she immortalizes in the Young Adult novels she ghost writes, perpetuating and glorifying her beloved vision of teenage vanity. Her past is the world she escapes into to avoid coping with her adult problems, and the film chronicles a few particularly destructive days in her life when she fully succumbs to her arrested adolescence. 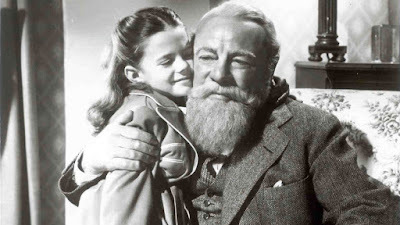 25 Reviews of Christmas #14 - A Mystery Review - Can You Guess the Subject? 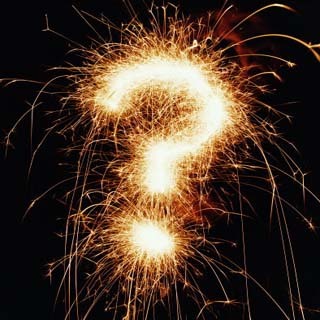 We’re going to try something a little different today…a mystery review!!! You’ll learn which Christmas movie this is after the jump, but for now, here is a brief plot synopsis. 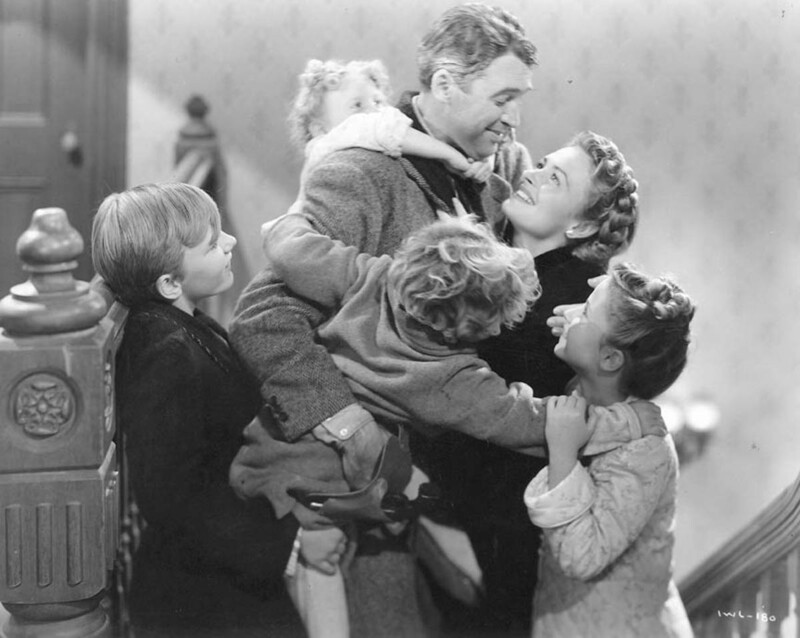 Can you tell which Christmas classic this is based on the summary? 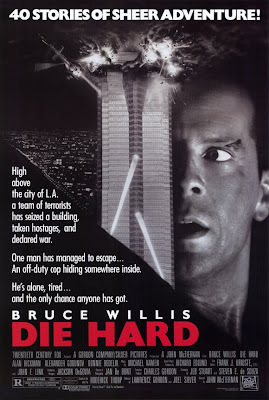 I couldn’t write this review straight, of course, because I am here today to discuss one of the darkest Christmas films ever created. 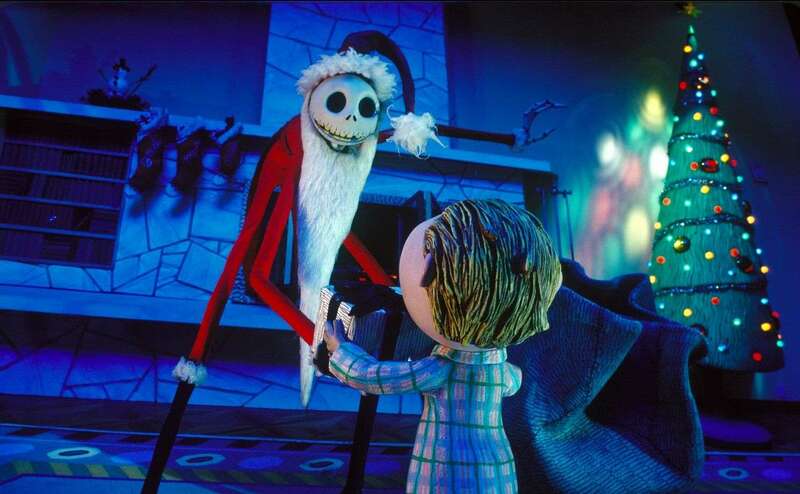 It is about a man who brutally murders Santa Claus, steals his clothes, sleigh, and reindeer, and over the next year, slowly but surely takes over every aspect of the dead jolly-fat-man’s life. He impersonates Santa so stealthily, so ingeniously, that even the elves are convinced he’s their boss, and eagerly help him in his fiendish endeavor. 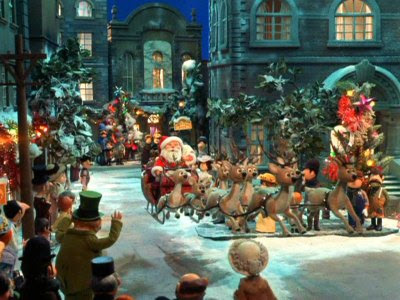 Having finally taken over the North Pole and been put in command of all Christmas-based operations, this dastardly villain goes out into the world as Santa Claus, and even though he encounters the police, his crime is never discovered. He becomes Santa, his plan to ascend from dull corporate drone to most beloved of all humans having gone off without a hitch. 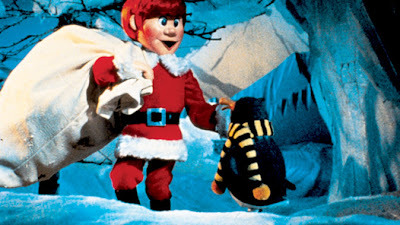 Santa is dead, and an imposter has forever taken his place. Are you familiar with this one? Can you guess the movie? Discover the subject of this mystery review after the jump…. More Rankin Bass! YAY!! It’s “The Year Without a Santa Claus,” one of their best, and possibly most underrated, classics! Remember to visit this page at any time for a collection of all 25 Reviews of Christmas articles. 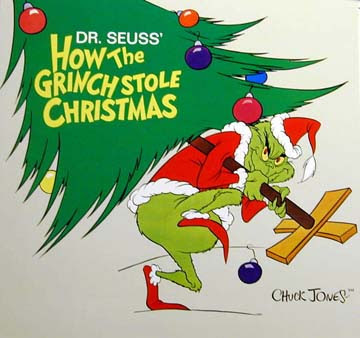 I think everyone’s familiar with this one – the wonderful 1966 television special “How the Grinch Stole Christmas!” Remember to visit this page at any time for a collection of all 25 Reviews of Christmas articles. 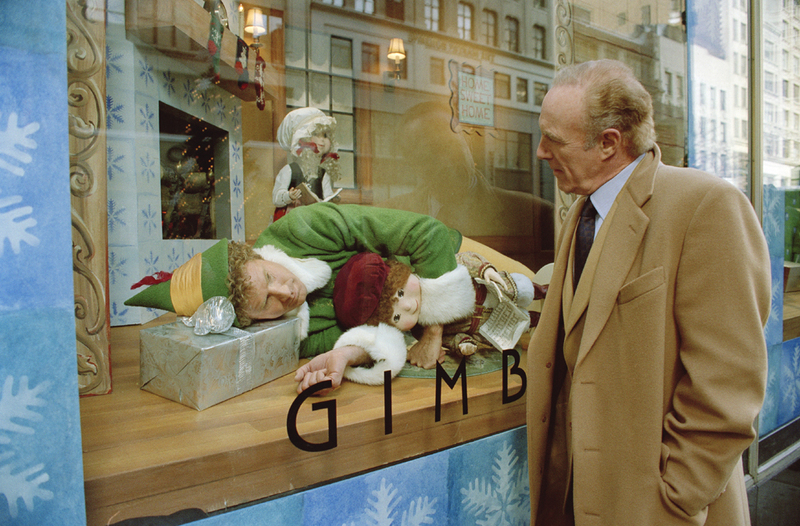 25 Reviews of Christmas #7 - Will Ferrell charms in modern classic "Elf"
Here’s one of the few true modern Christmas classics! Jon Favreau’s 2003 hit “Elf,” starring Will Ferrell! Remember to visit this page at any time for a collection of all 25 Reviews of Christmas articles. More music! 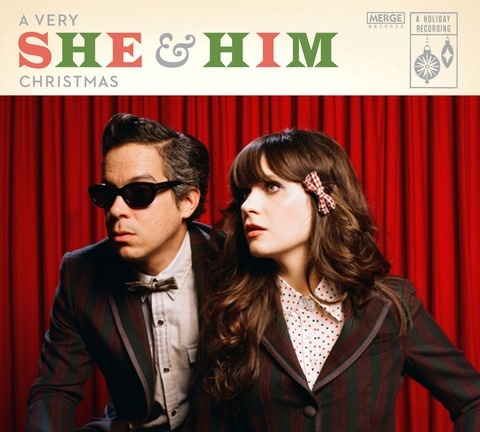 Today we’re looking at “A Very She & Him Christmas,” the latest, most festive album by the indie duo comprised of “New Girl” Zooey Deschanel and M. Ward! Remember to visit this page at any time for a collection of all 25 Reviews of Christmas articles. 25 Reviews of Christmas #5 - Robert Zemeckis and Jim Carrey craft a superb animated "Christmas Carol"
Today we take a look at another version of “A Christmas Carol,” the 2009 animated feature film directed by Robert Zemeckis and starring Jim Carrey! You’ll see a new “Carol” review on every fifth day of this series! Remember to visit this page at any time for a collection of all 25 Reviews of Christmas articles.